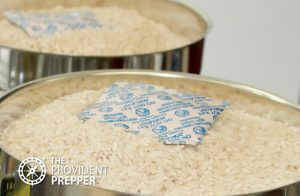 Ready or not, disaster strikes and the food you have faithfully stored instantly becomes a lifeline to your survival. Terror strikes as you realize your grain is infested with insects or disease-ridden rodents making it no longer fit for human consumption. Don’t let this happen to you. Storing your food properly is critical to ensure safe, nutritious food is available when you need it most. When stored in optimal conditions, some foods will maintain quality and nutrient contents for over 30 years. Improper storage may result in a waste of resources, serious illness, or even death from food-borne illnesses such as botulism. Don’t make mistakes when it comes to this critical investment. Knowledge is power. We have identified 8 of the enemies of your food supply worthy of taking the time and resources to mitigate. Time to go to battle! Air contains about 21 percent oxygen which oxidizes many of the compounds found in foods. Oxygen allows for the growth of insects and bacteria. Removing or displacing the oxygen from the packaging helps increase the shelf life of low moisture foods such as grains, dry beans, and dehydrated foods as well as preventing the growth of insects and bacteria. Use only food-grade containers to store food. Never store food in any container which has been used for non-food items. It is not worth the risk. Do not store food next to any volatile chemical compounds (gasoline, chlorine, paint, etc.) as they may be transferred to the food and affect quality, odor, flavor, and safety. 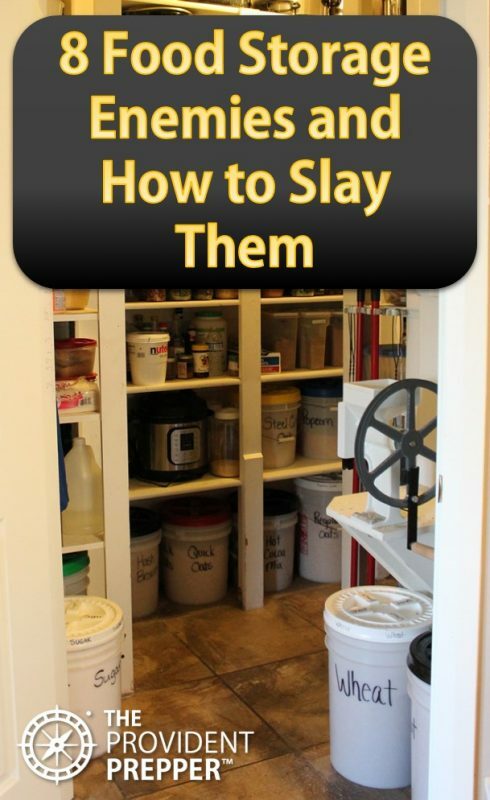 Start your food storage with fresh, quality food products. Do not store bulk grains in the original packaging. Take the extra time to package them appropriately for long-term storage. You will be glad you did. Weevils, small flour beetles, dermestid beetles, larder beetles, moths, and other pests will infest, destroy, contaminate, and consume food. 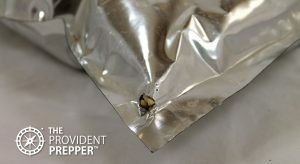 Chances are that even the best quality foods may come with a few of these little guys hiding in the bags. Insects come in four life stages; egg, larva, pupa, and adult. They require special handling to destroy each stage to prevent damage to foods. Storing food in an oxygen-free environment will destroy insects in all stages. Foods store best in a dark environment or in containers which block out the light. Sunlight produces physical and chemical changes in food and is especially damaging. Light speeds deterioration of both food and packaging. An ideal storage room will be completely dark. Low-moisture foods have the longest shelf-life. Good candidates for long-term storage should have a moisture content of 10 percent or less. A moisture level over 12 percent encourages mold growth and chemical degradation of all grains. High levels of moisture allow bacteria to grow. This results in spoiled grain which is unfit for use. A word of caution: Botulism poisoning may occur when moist products are stored in reduced oxygen packaging. Make sure to package food storage in a dry place with low humidity, such as an air-conditioned home. Store containers off of the floor, especially concrete. Concrete can wick moisture to storage containers. Moisture can destroy some food packaging (degrade paper or rust metals). We have a small problem with moisture in our basement storage. It turns the boxes of salt into little bricks. We solved this issue by placing our containers of salt inside of a plastic bucket. That added layer of protection seems to do the trick. If you are storing foods in a humid area, it may be wise to provide additional ventilation or invest in a dehumidifier. Mice can chew through a Mylar bag or foil pouch very quickly. It is possible for mice to chew through plastic buckets. These little critters deposit waste products in stored grains. Rats have been known to chew through plastic buckets as well as metal garbage cans. If you have a rodent problem, take care of it immediately. Traps and poison bait can be quite effective. Keep them out of the reach of children and pets! 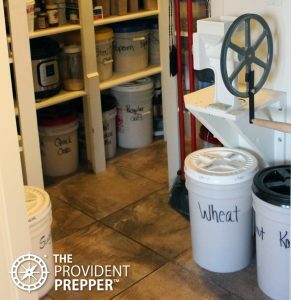 Keep your storage area free from spilled grain or food. We suggest storing rodent bait and traps as part of your basic storage. Don’t underestimate how effective a good cat can be at keeping the mice population under control. Storage temperature and temperature fluctuation have a significant effect on the shelf-life of stored foods. Garages are not ideal for food storage as they experience extremes in temperature regularly. Try to store your food in a cool location with minimal changes in temperature. Check out our experience. My sister and I purchased beans at the same time at the same store. They were stored differently. We stored ours in a cool basement and my sister stored hers in the garage (and then on the driveway for 1 year). Fourteen years later we discovered significant evidence that storage temperature matters. Notice that the beans stored in a garage for 13 years and then outside on the driveway for 1 year are dark, broken and shiny. The beans stored in the basement are still perfect. Light probably also played a factor as the beans in the center were stored in a plastic bucket unprotected from the elements. The beans on the left were stored in the cool basement were soft and delicious. The beans on the right, stored in a garage and then outside, just tasted wrong and a bit nasty. I can’t even describe it, but this convinced me that storage temperature matters! The USDA states that every 10 degrees F drop in temperature doubles the storage life of seeds. This also applies to food storage. It is possible to double, triple or even quadruple a product’s shelf life by storing at lower temperatures. For instance; the shelf life of foods stored at 90 degrees F will be less than half of those stored at 60 degrees F. Temperature makes a huge difference. Optimal storage temperature for shelf-stable food storage is between 40 and 60 degrees F. The cooler the storage area, the longer the retention of quality and nutrients. Freezing or sub-zero temperatures do not damage stored grains. However, never allow canned foods (i.e. 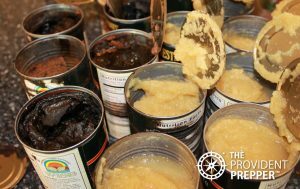 canned fruits, vegetables, beans, meats, etc.) or glass jars to freeze. Freezing changes food textures, leads to rust, bursting cans, and broken seals that may let in harmful bacteria. The applesauce pictured on the right was stored in a cool, dry basement storage room. We noticed black wet spots on the outside of the box and opened it to investigate. It appears that the seal was compromised on some of the cans, but not all of them. Perhaps there was a problem when they were manufactured or perhaps they were allowed to freeze which compromised some of the seals. 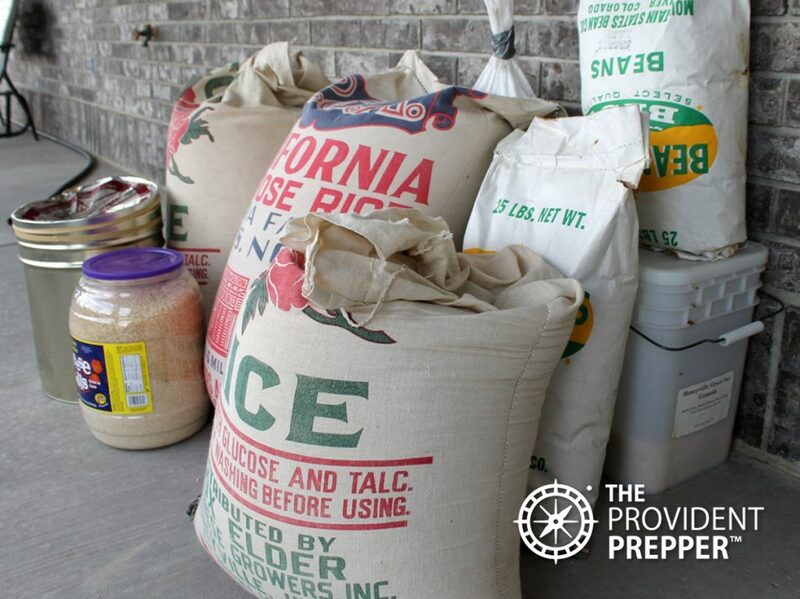 One more good reason to always check your food storage to ensure it is safe and ready when you need it. Time has a way of leaving its mark on just about everything. As food ages; color, flavor, aroma, texture, and appearance deteriorate and nutritional value diminishes. Some foods may become unsafe to consume after time. We were “gifted” the old food storage pictured on the right dating back to 1969. That is just shy of 50 years old. We have had several opportunities to experiment with older food storage, but this time it was in a variety of packaging. We learned that most of it looked acceptable, except for the beans. We cooked up the rice and it smelled funny. Little bugs floated to the top of the water even after rinsing the talc off the rice several times. Our chickens loved the cooked rice and we fed it to them for several months. It always had a bit of a strange odor. White rice, pinto beans, corn, wheat, rolled oats, pasta, potato flakes, dehydrated apple slices, and sugar are examples of low-moisture foods which can be stored for 30+ years if stored appropriately. However, foods which are high in fats or oil such as; brown rice, shortening, and oils will go rancid in a much shorter period of time. The best way to combat the time enemy is to regularly rotate your food stores so it never gets old. This may be challenging if we store foods that we do not eat on a regular basis. Consider rotating by donating items to a local food bank while they are still good and replacing with a fresh supply. It is best to “eat what you store and store what you eat.” This practice will decrease the waste and assures you are not adjusting to a new diet while trying to cope with a big crisis at the same time. We frequently purchase dry food items for our long term food storage in bulk. 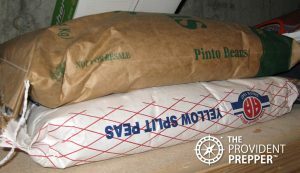 Bags of grain and dry goods are highly susceptible to insects, moisture, rodents, chemical contamination and the aging effects of oxygen exposure. Taking time to repackage dry foods for long term storage will improve the quality and lengthen the shelf life. Remember good dry food candidates for long term storage should have a moisture content of 10 percent or less. Bulk dry goods may reasonably be stored in the original packaging for a year. I personally would take the time to package food in appropriate storage containers for anything longer than one year. Cans are perfect for long-term storage of dry (10 percent moisture or less), shelf-stable, and low-oil content foods. Dry foods do not react with the metal can due to a food grade enamel lining. 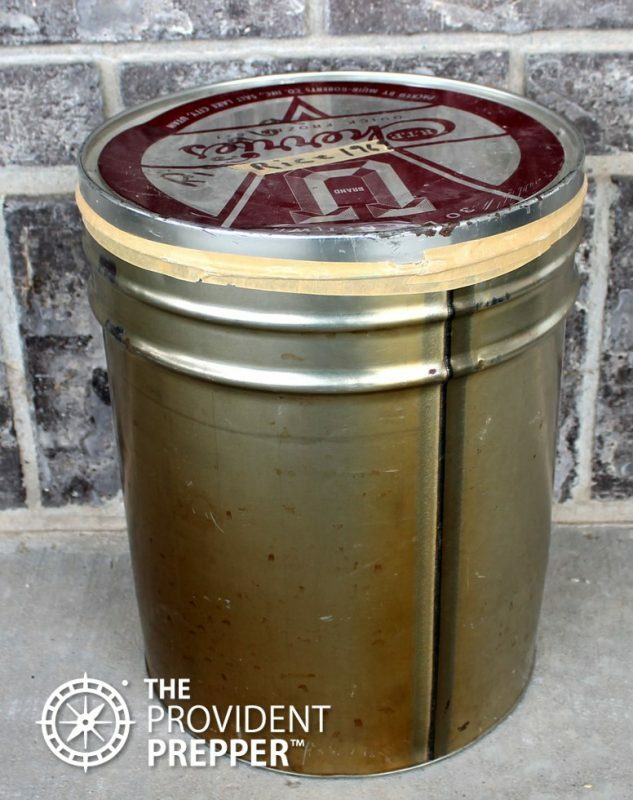 The #10 can is like a time capsule that creates the ideal protective environment for dry foods. All dry foods, except sugar, should be packed with an oxygen absorber to prevent insect infestation and preserve the quality of food. These cans provide true oxygen barrier which makes them a great choice. 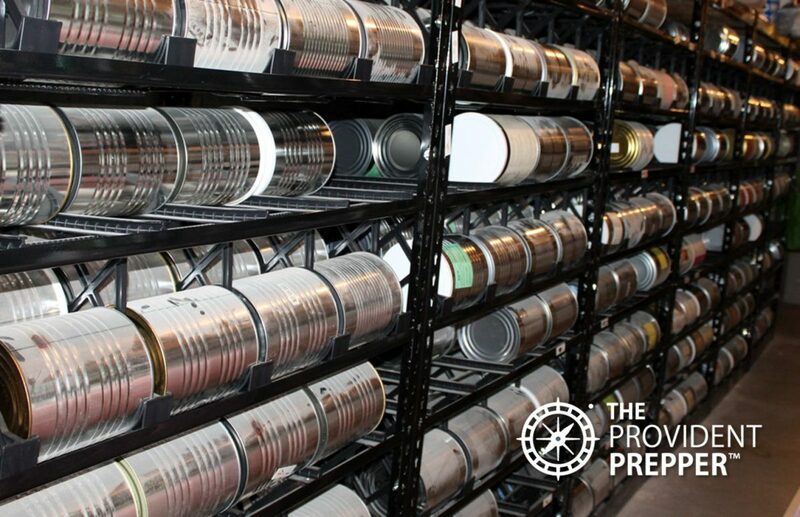 Protect cans from moisture to prevent rust. Do not store #10 cans in direct contact with concrete floors or walls. We have rolling racks that make the rotation of the #10 cans simple. They also store well stacked in cardboard boxes or on shelves. Mylar pouches are made from multi-layer laminated plastic and aluminum. Foods do not react with the aluminum because they are separated by a layer of food-grade plastic. Mylar bags effectively protect against moisture and insects. These bags allow for a very small amount of oxygen transfer over time. Pouches are not rodent proof. Consider storing pouches inside of rodent-resistant containers such as plastic buckets or metal garbage cans. These provide an additional layer of protection and may be worth considering. Do not allow Mylar pouches to come in contact with concrete floors or walls. Store only foods low in moisture (10 percent or less), shelf-stable, and low in oil content in foil pouches. We recommend that you only use PETE bottles for storing dry goods as other bottles may not provide an adequate moisture or oxygen barrier. PETE bottles will display the number “1” in the center of the recycle symbol or “PETE” or “PET” under the recyclable symbol on the bottom of the bottle. Bottles should have a screw on lid with a plastic or rubber lid seal. Examples may be some two-liter soda bottles, juice bottles, etc. Never use containers which previously stored non-food items. Make sure to clean bottles well and allow to air dry for several days. 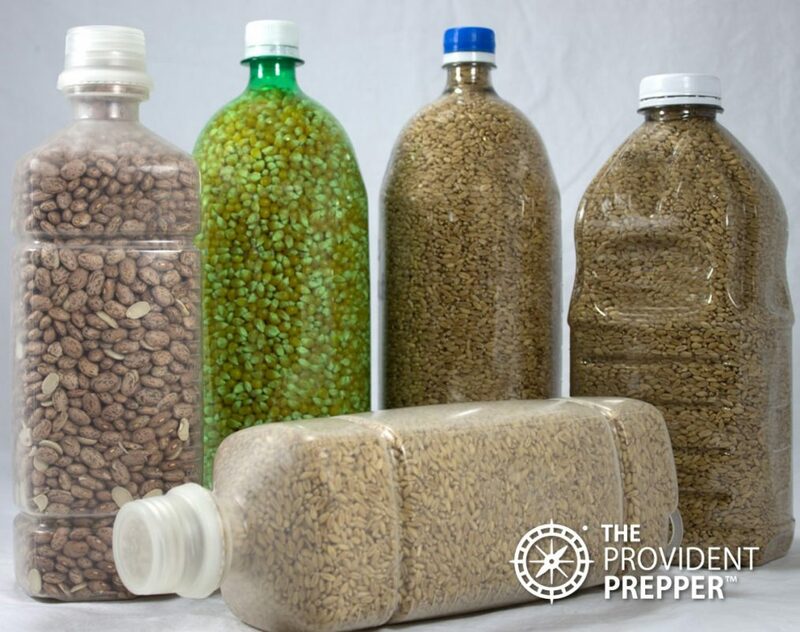 These bottles will work to store wheat, rice, corn, and beans for long-term storage. They may also be used for short-term storage. I like them because they are lightweight and easy to handle. 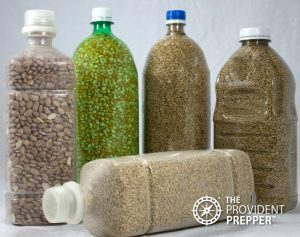 For long-term storage of grains, use one oxygen absorber packet for each bottle up to one gallon for foods containing 10 percent moisture or less. PETE bottles need to be protected from light and rodents. 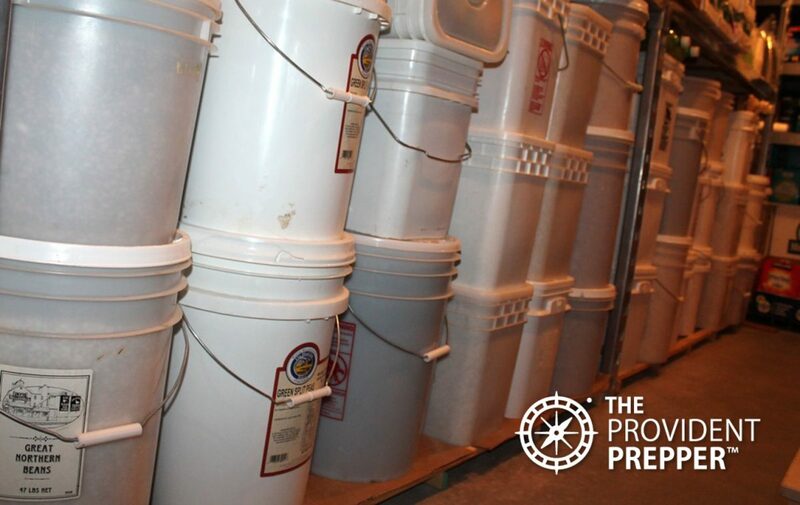 We store the majority of our food in plastic buckets. 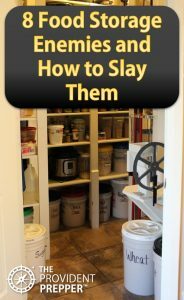 I store most of my grains, flour, sugar, and staples that we use on a daily basis in plastic buckets with gamma seals for easy access in my pantry. When one of the buckets runs low, it is replenished with a bucket from the storage room. The empty buckets are great indicators of what I need to replenish in my food storage. Once I have several empty buckets, we purchase fresh supplies and treat the contents with dry ice. 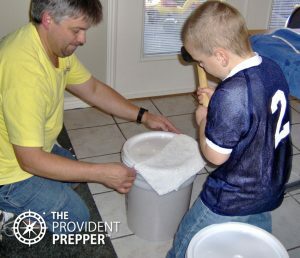 Plastic buckets are ideal for individuals who regularly use food storage. 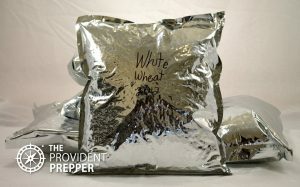 It is the least expensive way to package dry foods for long term storage. Only food-grade buckets with gaskets in the lid seals should be used. Dry ice (CO2) should be used to prevent insect infestation. Methods such as oxygen absorbers or nitrogen gas flushing are not effective in plastic buckets as they depend on the absence of oxygen to kill insects. Plastic buckets are not an oxygen barrier as there is a slow transmission of oxygen through the polyethylene walls of the container over time. Store buckets at least ½ inch off the floor to allow for air circulation. It is not a good idea to stack the buckets over three buckets high. Check periodically to ensure lids have not broken from the weight. Dry foods (less than 10 percent moisture) which are low in moisture content are good candidates for bucket storage. Some leaching of the plastic into the food may occur. This is not harmful. Initial treatment at the time of storage will ensure that an insect infestation will not destroy your valuable food stores. Creating a reduced oxygen environment will increase the shelf life of the dry foods in addition to killing any critters that may be hiding. Desiccant removes the moisture from the surrounding air. When placed in an airtight container, it will produce a low humidity environment. It prevents rust, corrosion, oxidation, mildew, fungus, mold, etc. Desiccant is frequently used in manufactured products as well as food storage. Silica Gel packaged in Tyvex meets FDA requirements to be used in dry food packaging. Layer small packets throughout the storage container and seal immediately. Discard after opening. Some forms of bulk desiccant may be “rechargeable” by exposing to heat for an extended period to release absorbed moisture, some may not be. Place in a shallow baking pan at 250 degrees for 5 hours. Desiccant is not edible so be sure you do not spill it in your food. 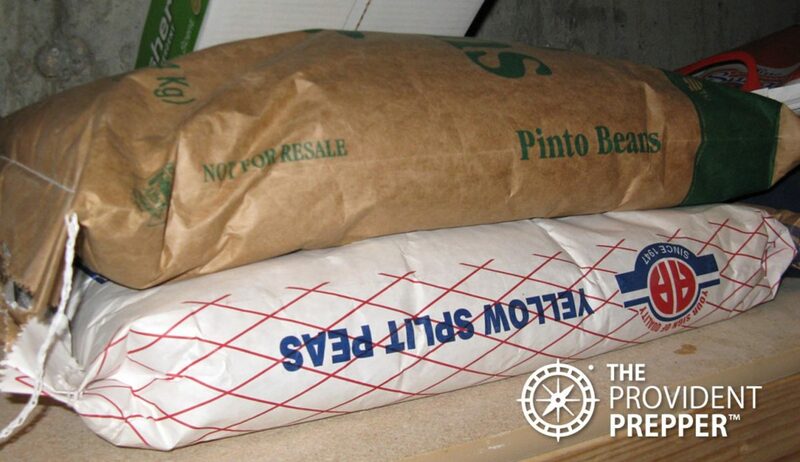 Desiccant should be placed on the bottom of the container or buried deep in the grain. It should not be placed next to an oxygen absorber. Desiccant negatively affects the performance of the oxygen absorber if in close proximity. A natural substance from the fossilized remains of marine diatoms. They are microscopic with sharp spines which make them dangerous to exoskeletal insects but not to animals with internal skeletons. The spines create multiple microscopic wounds in the insects resulting in death. However, people and animals are not harmed by diatomaceous earth. 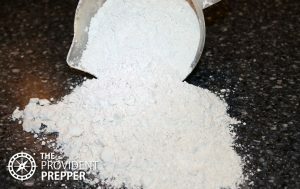 There are different forms of diatomaceous earth some of which are dangerous to humans. Do not use the kind intended for pool filters. Safe forms may be purchased at your local feed store, garden center, or hardware store. Read the label before purchasing. Mix one cup of diatomaceous earth thoroughly with 40 pounds of grain, grain products or legumes. It is a dust and you should avoid breathing it in while mixing. Note: diatomaceous earth does not kill eggs or pupae until after they have become adult insects. Dry ice is frozen carbon dioxide (CO2). It displaces oxygen. 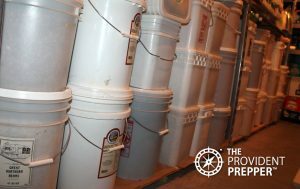 It is the recommended treatment for grains and legumes stored in plastic buckets. Dry ice will control most adult and larval stage insects, but will not destroy eggs or pupae. Multiple applications are not necessary unless there is an infestation. 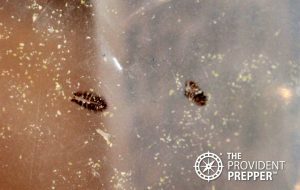 If you decide to treat again, wait 2-3 weeks for insects to mature from the surviving eggs and pupae. Use one ounce of dry ice per gallon or 3-4 ounces in a 5-gallon bucket. The dry ice will slowly sublimate and the CO2 will displace the lighter air pushing it out the top of the bucket. It may be a good idea to use a desiccant package along with the dry ice for moisture control. Wipe ice crystals from the dry ice with a clean towel. Wrap dry ice in a paper towel to prevent it from burning the food it comes in contact with. Place wrapped dry ice in the bottom of the container. Pour grains or beans on top of the ice leaving one inch at the top of the container. Snap the lid down only half-way on the container to allow carbon dioxide to escape as the dry ice sublimates (changes from solid to a gas). This usually takes an hour or so. Seal only after the dry ice has completely sublimated. Monitor bucket for a few moments to ensure the lid does not bulge. If it does, open and release the pressure. The lid being pulled down slightly is an indication of the partial vacuum created by the carbon dioxide being absorbed into the product. Freezing will kill live pests, but may not kill insect eggs. Multiple freezing and warming cycles may be required to kill all insects and hatching eggs. Freeze 1-15 pound bags of grain for 2-3 days then allow to warm for 24 hours. Repeat the process. Multiple freezing cycles may be an option for grains stored in small containers that you do not wish to transfer to larger containers. Moisture may be a concern with this method. Oxygen absorbers remove the oxygen from the container and will kill adult insects and prevent larval insects from surviving. Oxygen absorbers are small packets which contain iron powder. They are made of a material which allows oxygen and moisture to enter but does not let the iron powder leak out. The moisture in the food causes the iron to rust. As it oxidizes, the iron absorbs oxygen. Oxygen absorbers are more effective at removing oxygen than vacuum packaging. 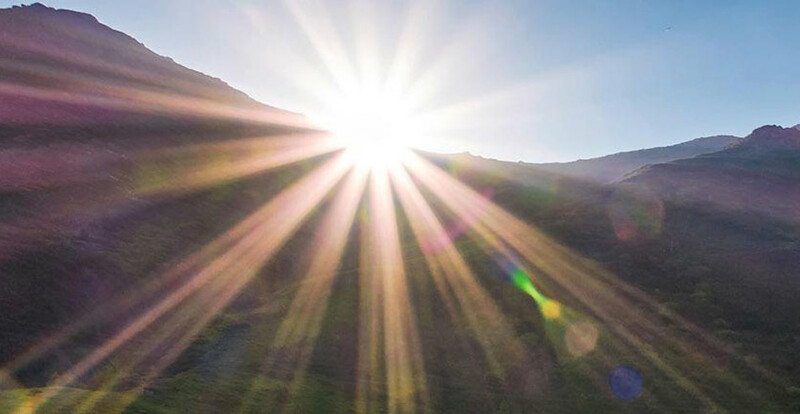 Air is roughly 21 percent oxygen and 79 percent nitrogen and other gasses. The oxygen absorber packets remove only the oxygen. The remaining air is mostly nitrogen which does not allow for the growth of insects. Use only with products which are low in moisture (10 percent or less) and low in oil content. Remember botulism poisoning may result from storing products high in moisture in a low oxygen environment. Use oxygen absorbers in containers which provide sufficient moisture and oxygen barrier such as; #10 cans with seamed lids, foil pouches, PETE bottles with airtight, screw-on lids, and glass canning jars with metal lids which have gaskets. Store food correctly to begin with or purchase it from reputable suppliers packaged for long term storage. Click here to see our personal recommendations for long term food storage suppliers. Now that you know how to store the food correctly, take inventory and evaluate your food storage. Are there any enemies which need to be attacked? Food storage is a wise investment that is worth protecting. This is a learning process. We learn by making a few mistakes and then correcting those mistakes now, while we can. We commend you for taking the time and resources to store food for your future needs. Keep up the good work!